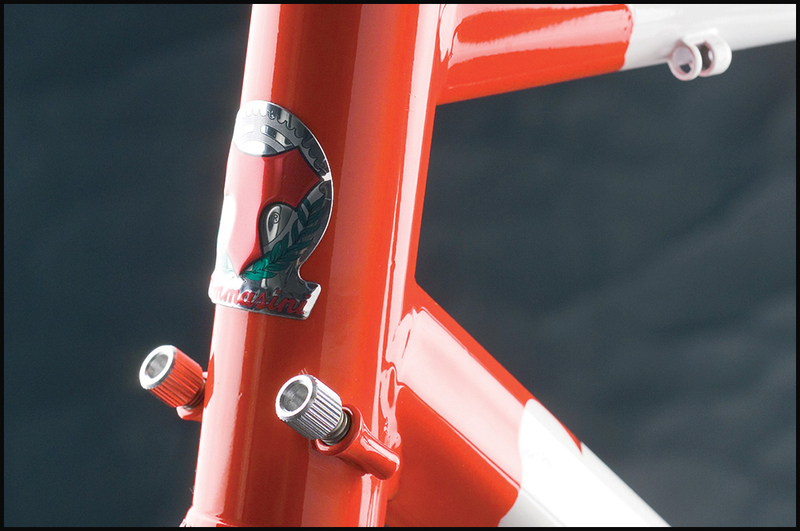 The Tommasini Carbo Fire is as much art as a high performance bicycle. This mixed material frame is the perfect blend of tradition and new age materials. 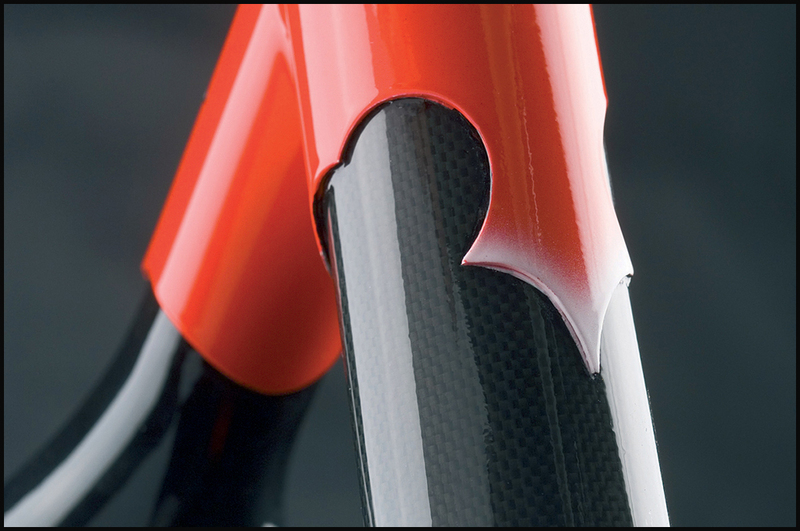 The Carbo Fire is a combination of Columbus Spirit Steel tubes joined to carbon seat stays and carbon chain stays as well as a carbon fiber seat tube. 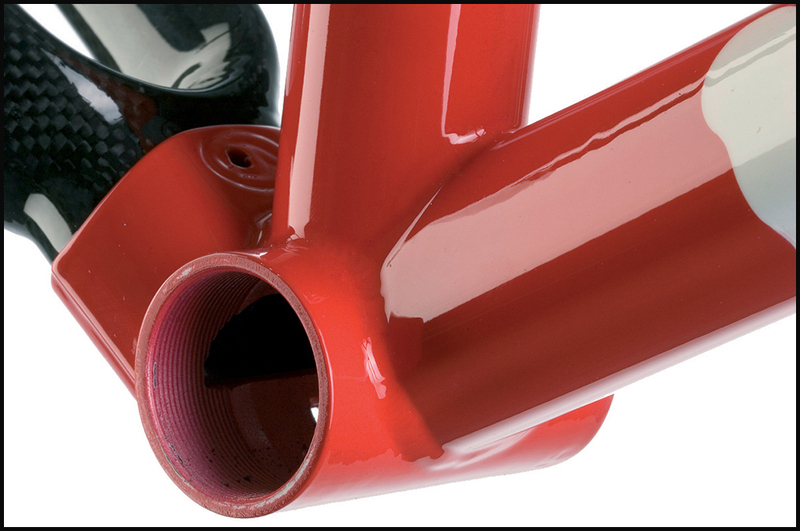 The seat tube is fitted into distinctive lugs designed by Irio Tommasini. 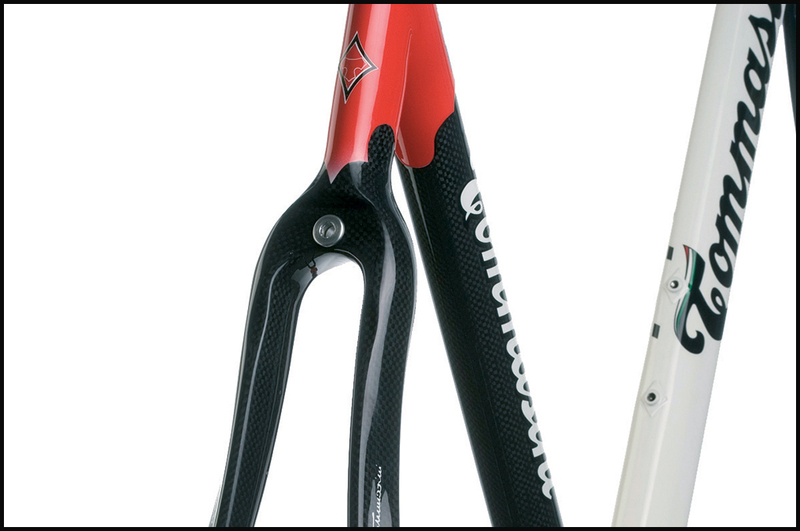 The rear drop outs are also exclusive Tommasini. The ride quality utilizes the best attributes of light weight steel and high quality carbon fiber. Carbo Fire has the lively feel of Columbus Spirit steel and also has increased rigidity and dampening of the carbon. 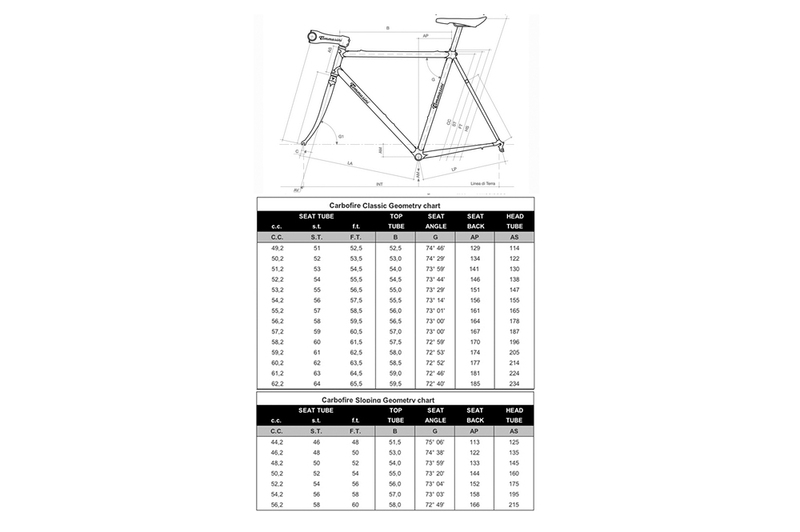 The result is a super smooth and comfortable frame but with excellent acceleration and stiffness. And of course with Tommasini's famous geometry the cyclist has a perfect feel of the road with exquisite handling, efficient climbing and confident go fast descending. 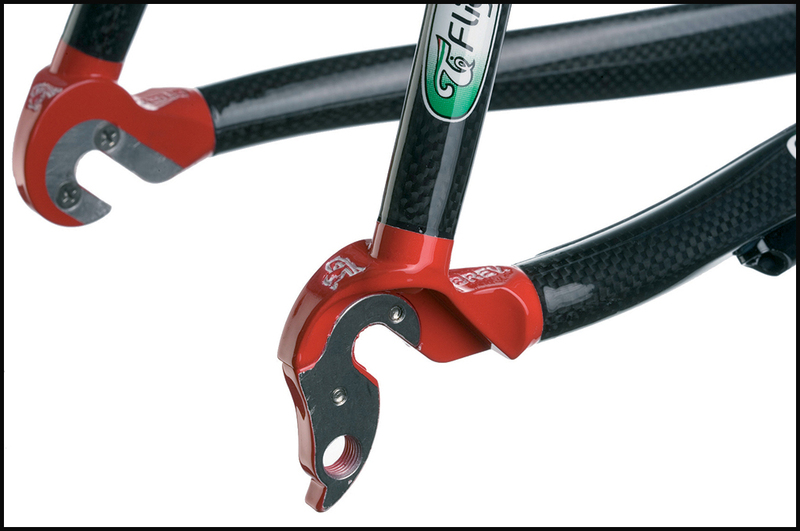 SPECIAL All remaining stock of Carbo Fire frame sets are offered at the Special Price of $2995! 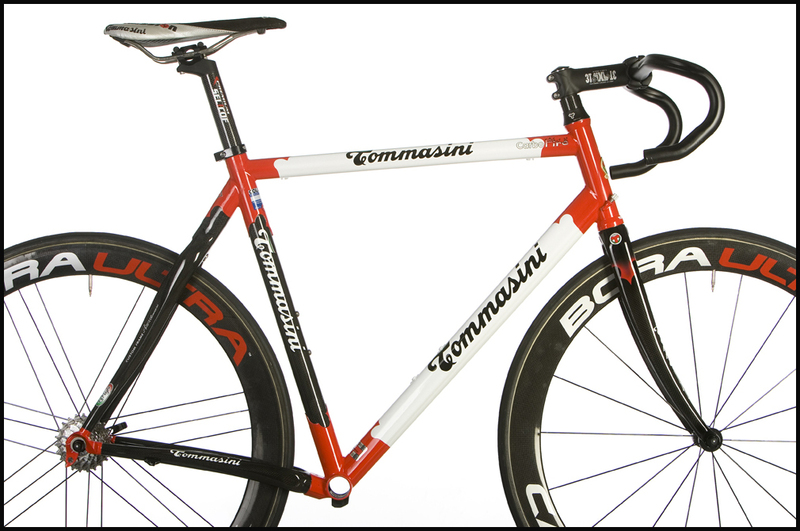 Act now while this jewel of Tommasini history is in stock.